Rollercoaster Tycoon is a franchise that consumed an obscene amount of my time over the years. From the Chris Sawyer days for RCT1 and 2, to the Frontier Development-powered RCT3 and its two expansion packs, the game was about creating an epic park that required care and attention as much as about building insane rollercoasters. I made my feelings known about Rollercoaster Tycoon Mobile, and upon release, it was a feeling shared by all fans. It sounded like the franchise was well and truly dead. Surprisingly, we now face an embarrassment of riches as we see two rollercoaster simulation games go head to head. Let’s see if Rollercoaster Tycoon World can redeem itself from the embarrassing mobile attempt and bring back the glory days of coaster park fun. Rollercoaster Tycoon World (hereafter referred to as RTW) opens up with the two expected options — a story-based section, and sandbox mode. The story mode is split across 39 levels in five geographically diverse locations. Part tutorial, and part challenge mode, the story missions (usually) hand you a semi-complete park and then ask you to fix it up. Challenges are split across three difficulty levels — apprentice, master, and tycoon. Most of the time they are fairly intuitive, including objectives like placing a certain number of scenery objects, hitting a fame rank, attracting a certain number of guests, or having a rollercoaster with certain traits such as length or speed. Early levels are incredibly easy, requiring nothing more than following the instructions and dropping objects on the ground. Later levels require a little work and planning, but nothing too taxing. All of the levels are locked until you complete the basic goal of the previous one, so there is no skipping ahead, but there are rewards for sticking around and hammering out those challenges. There are a certain number of objects pre-unlocked for each level you tackle. Every time you complete an objective you’ll earn Tycoon Credits. These are used to unlock rides, scenery, food carts, souvenir shops, and pre-built coasters. This grants access to the various theme objects like the ubiquitous “Sci-Fi Arch”, western cacti, and more. These are carried to the next story mission, and it also unlocks for the unlimited-money sandbox mode. Conversely anything you unlock in sandbox works in story as well. Didn’t even get through the loading screen this time. In a game called Rollercoaster Tycoon, it’s important that being able to build the scream-inducing high-flying coasters of your dreams be easy to execute. To that end, Rollercoaster Tycoon World does a decent job on the surface. Across the eleven coaster archetypes available, you have wooden, standing, flying, inverted, and other options. Most of them have a pre-built small coaster that will give you a good template from which to work, with later levels unlocking all five ready-made rides. If you choose to go free-form, things like basic twists and turns, easy loops, track angles, and adjusting the track length and height are all drag and drop. Comparing it to other current and past coaster creators, I found it easier to intertwine with other adjacent coasters. That said, beyond the basics lies a few twists and turns that might make your stomach lurch. The career mode is part tutorial, part objective hunt. Placing track pieces is accomplished by placing what amounts to a push-pin where you’d like the next segment to end. The game interprets how to get there and places a section for you. You can click buttons or hit keyboard shortcuts for 1-4 to change height, twist the track, and change the curve angle and Z-axis tilt. It provides enough tools to make some fairly decent coasters at a simpler level. Adding loops and switchbacks are a bit more complicated, requiring a lot of tinkering to execute cleanly. The pre-built feature special track items like corkscrews work moderately well, though getting them to blend into your existing build can be a challenge. Under the crash info you can see the objectives to the left. I was disappointed to see that Rollercoaster Tycoon World has no mechanism to dig into the ground for tunnels. Seeing some of the amazing underground work content creators have built in other games showcases just how much of a miss not having this function really is. If there is one area that is critical to an effective park, it’s pathing, staffing, and garbage/vomit disposal. The pathing system in Rollercoaster Tycoon World frequently complains of obstructions that don’t exist, allows the terrain to clip through the sidewalk, and connects at janky angles. Fighting with the pathing and getting it to connect with the rest of the park can be a real challenge, creating some odd bottlenecks or unused areas of the park when your visitors can’t figure out how to navigate through them. Why can’t I place this path? Who knows. Unfortunately, none of this matters as the game is incredibly unstable. I’ve waited through two major patches since the game’s launch and it has become increasingly prone to crashes to desktop. Lag, even on a very powerful desktop and a bleeding edge laptop, randomly stutters and hampers the game, especially at the beginning. After long loading sequences, the game continues to sputter for minutes afterwards until everything levels out. Although the recently-released Whimsy Theme is fantastic and adds some much-needed personality to the game, it does little to balm the instability and performance issues. Not exactly gorgeous when you do get your paths to place. Beyond the crashing issues, I did have a few other issues with Rollercoaster Tycoon World — lack of Cloud Save support (I routinely bounce between my desktop and laptop, but my save files do not transfer), inability to place objects on elevated terrain (I can’t get trash cans to place anywhere but on flat land), clunky object deletion mechanisms, lack of dark/water/transport rides, no trigger mechanisms (the ability to take a picture, flash a light, etc. when a ride passes) and others. I could get into the barebones park management engine, but it’s rather moot at this point. Thankfully, these are things that Nvizzio Creations can patch in once they iron out the crashing problems, but it does highlight the one overall theme of what’s missing: content. Rollercoaster Tycoon 3 had eighteen terrain types alone, so it’s a little rough when World drops that down to four. Similarly, other coaster titles shipped with over two dozen coaster types, while World hit the market with just half that amount. The team is patching in new rides, scenery, and content post-launch, but much of it feels like they are adding what likely was slated to ship on day one. Influencers can bring more guests to your highly-unstable park. In the end, Rollercoaster Tycoon World feels like it simply launched too early — something I hope had more to do with publisher Atari than the developer who is also working on Rollercoaster Tycoon Touch — a free-to-play mobile game announced last month. To try to beat Planet Coaster to the punch, they set their launch date one day prior, and that may have caused much of the content cull that has obviously occurred. While the vitriolic backlash in the forums and online communities like Reddit are a bit excessive, some of it is sadly equally as earned. 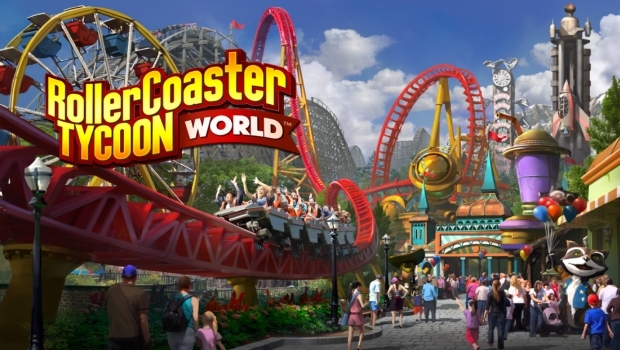 Rollercoaster Tycoon World has so much potential. All of the base pieces are here, and the game’s content is being expanded to match that promise, but stability problems and bugs hamstring what could be a solid park creator. There's a fun game here...but you can't experience it if the game won't stop crashing.